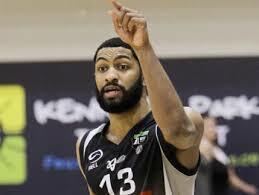 The major news breaking over the weekend was that coming out of the UK that Plymouth Raiders have parted company with Tall Blacks forward BJ Anthony and Canterbury Rams swingman Richie Edwards. Raiders player coach Daryl Corletto put out a statement. There was better news on court for the Raiders on Sunday as they recorded their first win of the season, 76-75, against Glasgow Rocks. Former Breakers player Duane Bailey, who made his Tall Blacks debut earlier in 2015, has flown out to the UK to replace Anthony and should be available for the next Raiders game, at home against the Worcester Wolves, next Saturday. Elsewhere in Europe Limburg United came within a whisker of defeating Belgium League leaders Ostend on Saturday. Rob Loe had 13pts/4rebs/5assists as United came from 76-69 down at the end of the third period to take the game into overtime before being outscored 18-15 in the extra period to lose 106-103. Limburg sit mid table with a 3-3 record, Ostend improve to 6-1. On Sunday Zaragoza visited Joventut, slipping their third straight loss in the Spanish League, going down 71-70. Only a single point separated the two teams in three of the four quarters but the third period proved costly for Zaragoza as they only managed 6 points. Fotu scored just the four points (2/6FG) but did chip in with 8 rebounds, a block and an assist. Meanwhile in the Australian NBL there has been plenty of action in addition to the well publicised finish to the Breakers v Melbourne United encounter. In their first meeting of the season the Townsville Crocodiles gave Perth Wildcats a 17 points start and still overhauled them. In the second game on Wednesday it was just a ten points buffer, 26-16, but the outcome was the same; 69-59 in favour of the Crocs. Unfortunately Wildcats point guard Damian Martin copped a wayward Brian Conklin elbow and sustained a broken jaw in the closing seconds of the game. The serious injury to Martin means extended playing minutes in the coming weeks for Jarrod Kenny who in this game provided 5pts/3rebs/2assists in game two. Leon Henry made the game winning basket in game one but was a lot quieter in game two failing to score but contributing 3rebs/2assists/1block/1steal. The two teams met for the second time in 48 hours and the third time in 12 days in Perth on Friday. In a frenzied atmosphere, with the crowd booing every Conklin catch, the home side prevailed 85-77 with Jarrod Kenny once more playing a prominent role. The Tall Blacks point guard scored a handy 12 points (4/6FG) and added 5 rebounds and 3 assists. Leon Henry was his reliable self for the Crocs, 2p/3r/1a/1st/1b. Dion Prewster and the rest of the Sydney Kings guards did their best to contain the dynamic Melbourne United trio of Goulding, Hoult and Blanchfield on Thursday night but when a team puts up 41 three point attempts and makes 20 of them you know it is going to be a long night. Prewster did as well as anyone under fire but probably didn’t shoot the ball as much as he should of scoring 5 points from just the two scoring attempts. Melbourne won their 8th straight game 105-94. Prewster and his Sydney team just can’t buy a trick at the moment. Against the Adelaide 36ers they were ahead by 25 points in the second quarter and still 85-67 at three quarter time. What followed was a final quarter meltdown as the Kings blew that 18 points advantage allowing Adelaide to record the biggest fourth quarter comeback since the NBL moved to 10 minute quarters seven years ago. Some consolation for Dion Prewster was that he had 12 points (5/6FG) in the 99-98 defeat. Illawarra Hawks blew away the Cairns Taipans 40-15 in the third quarter of their encounter on Friday night going on to record a 96-88 win. Kirk Penney scored 17 points for the Hawks but it wasn’t one of the shooting guards more eye catching performances as he only converted 5 of 16 attempts from the field. It is hard to keep track of the Oklahoma City Thunder and Steve Adams so congested is the NBA calendar. At the end of week two the Thunder, after playing 4 games in 5 nights, boast a 3-3 record. Adams missed the final quarter of the 104-98 defeat at the Chicago Bulls with a tweaked back. The 22-year-old centre is doing a very solid job in the starting centre role averaging 6.3pts/5.7rebs/2blocks over the first half dozen games.